I've been doing a lot of work with widgets of late. Much of it involves pushing widgets or providing embed code to social network sites like MySpace and Facebook. What I have found is that nothing actually works anymore. I remember when widgets first evolved on the MySpace platform, you could simply paste a bit of HTML into the editor and get a nice looking widget. Today, you need the MySpace widget rulebook to have any chance of pasting HTML onto a profile. I even tried very simple HTML with an anchor around an image and I wasn't able to get it to work. If you scan a few dozen profiles, then you'll find the most common widget is the angled bracket widget and the error widget. A lot of people have simply abandoned their MySpace profiles, which have gone from ugly looking profiles to ugly looking profiles with a lot of error messages and angled brackets. I even tried posting a widget to my own profile using the viral functionality of a very popular widget framework and simply couldn't get it to work. The widget company insisted their stuff worked perfectly. I scratched my head to wonder how users without 20 years of computing experience get anything done on the Internet. On the other hand, you have Facebook, which requires a PHD in flash widgets in order to do anything. Imagine the average user struggling to post a blogthing to their Facebook profile. Geeks simply don't understand usability. There must be something better than the mess we've created. This morning, I was building an image and video application and needed some RSS sources to seed the image and video database. I picked three feed sources; Google Video, Yahoo! Video and Flickr. The first thing I noticed was that only Yahoo! Video used RSS enclosures, where as all three used Media RSS. I decided to write the code once using Media RSS and drop RSS enclosure support. I wasn't too happy about making this decision. Had Flick and Google simply used RSS enclosures in addition to the Media RSS, then I could've written this application for general RSS enclosure support. It's not like this would've been difficult as RSS enclosures look almost exactly like Media RSS content. A sample of each element follows. Using an extension element in place of an equivalent core RSS element is what we call Funky RSS and much not appreciated by people trying to write RSS applications. The reason we don't appreciate it is because the core RSS elements are better understood and you don't end up with the ridiculous situation that I'm about to describe. Although all three sources use Media RSS, I had to write separate code for all three implementations. All I wanted to do was access the media:content/@url attribute and all three conveniently had unique access paths to this variable. Here's three feeds that I'm looking at. Using fully qualified element names, the access paths are as follow. Looking deeper, two of the three implementations appear to be invalid, but which two are invalid is the question. Let's start with the namespace. According to the Media RSS spec, the namespace URI should not have a trailing slash, but according to the Feed Validator, the namespace URI should have a trailing slash. It also turns out that at one point, the spec did have the trailing slash, but later it was removed. This was previously discovered in February 2007 and Yahoo! has dropped the ball since. Turns out, the feeds are not really valid or not. It's actually the spec that is invalid. Further, disregarding the namespace URI, the Google feed is still invalid, yet the Feed Validator doesn't seem to recognize this. The media:group element is for "grouping of <media:content> elements that are effectively the same content, yet different representations." That's not what Google is doing, rather they are using it as a general container. Conclusion? Had Google and Yahoo! simply used the RSS enclosure element, then I would be long done by now. Instead, I have 3 times the code I really need. Frustrated. Chip just released version 1.2 of his OPML browser plug-in for Wordpress. Two and a half years later, Dave Winer is still pushing for a centralized solution to the RSS subscrition problem (a.k.a. the Yahoo! problem). We've already seen Dave's Share Your OPML centralized subscription and OPML solution spark and fade. Why would we try this route again? In the meanwhile, Web browsers have evolved and now understand RSS. Although the approach isn't exactly like USM, it's close enough for me to say that the ocean is boiling. Widgets, widgets, everywhere. You guessed it. Even Amazon is doing widgets. OK, they've always had widgets like Omakase and product links, but now they've gone widget crazy just like the rest of the Web. Honestly, most of the widgets don't seem very interesting, but I'm sure they'll sell a few extra books. The Unbox widget is cool! Dave Winer has given us an ETA of Thanksgiving (U.S.) for carving OPML 2.0 in stone. It's not perfect, but it's sufficient. If you have any concerns, then it's now or shut up. Don't worry ;-) I won't shut up either. 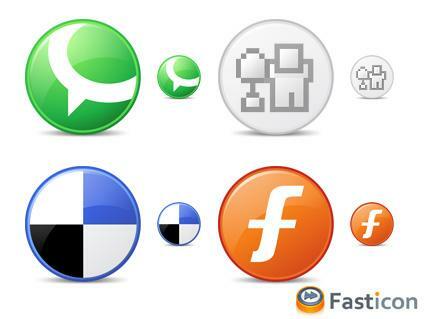 Check out these cool and free icons from freeicons.com. They have Technorati, Digg, StumbleUpon, Blinklist, del.icio.us, Furl, Magnolia, Newsvine and Reddit. What? No RSS or OPML? Yesterday, I recorded my first TalkShoe show. You can listen to me embarass myself online. This is the perfect platform for starting an audio podcast show. You can broadcast, record, syndicate, link to the mp3, your listeners can join-in on the conversation via both audio and text chat (ok the chat history is really confusing). The audio isn't horrible and I have a $1 store mic. I'm so impressed that I'm thinking about starting my own show. It took some time for the archived audio to become available online (maybe 30 minutes, maybe hours, unsure). The new ShoePhone interface was easy. I really like the invite a guest feature. You can schedule shows too! Even a novice like me could do this. Even a non-techie could do this. If you get a lot of listeners, they'll pay you. Ian Forrester blogged a list of requirements for his perfect RSS aggregator. He has some interesting requirements and notes. Excerpts follow. Should be able to handle 500 RSS feeds without paging like mad or using 100meg plus. Support for XSL transfoms on the actual its display pane. If not XSL, CSS at least. Today, I'm spending a little bit more time looking at TalkShoe. I'm switching between live audio channels and listening. I gotta tell you that feature wise, this is likely the best audio podcasting platform on the Web. On the other hand, the user interface is crazy horrible. The chat is incomprehensible. You have to wonder if the developers have ever used MSN or Yahoo! Messenger. The chat history is a timeline grid. Very confusing! The audio is not all that good. It seems that the chat audio using ShoePhone isn't as good as direct call-in. But I guess the speaker's connection and computer has a lot to do with that. Mostly, I was listening to a show called Humanity Matters. Pretty good show. I'm gonna try a test show. Not sure when. But as soon as I can. Not sure when this happened, but today I began wondering why I never receive any Rmail alerts from Technorati anymore. I'm subscribed to searches like "Randy Morin" and KBCafe. The webpages have lots of relevant results, but the RSS feeds are completely empty. I'm not sure how long they've been broken, but a scan of my inbox (30 day archive) shows zero new items. Has it been broken all month? Mathew Ingram has a great article at the Globe and Mail on the impact of YouTube, Facebook, blogs and RSS on the Ontario political election. an election just wouldnât be the same without blogs, podcasts, YouTube clips and RSS feeds. The Ontario election is no different, although certain players have jumped on the âWeb 2.0â bandwagon with more gusto than others. Today, TalkShoe announced ShoePhone. This completes TalkShoe's integrated broadcast and podcast management platform. I'll be testing it ASAP. Uber-blogger and Web 2.0 envangelist, Jeff Nolan has landed with NewsGator. This is the biggest pick-up since the Pittsburgh Penguins drafted Sidney Crosby.